Posted in: adventure, Authors, books, Fantasy, Gamebook, Gamers, gaming, Readers, Reading, RPG, Steampunk, Uncategorized. Tagged: game books, Gamebook, RPG. From the quills of Mark Lain comes this delightful quadrilogy of not just one but FOUR playable adventure stories. A must for all gamebook readers! 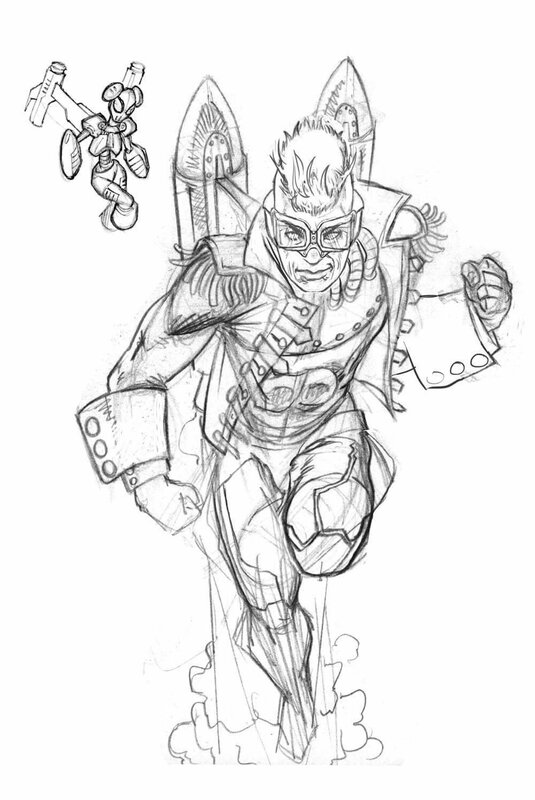 Posted in: adventure, art, Authors, books, Crowdfunding, Fantasy, films, Gamebook, Gamers, gaming, hobbies, horror, illustrators, Kickstarter, Readers, Reading, RPG, Steampunk, Uncategorized. Tagged: adventure, books, gamebooks, illustrators, Jonathan Green, jurassic park, kev crossley, Kickstarter, Neverland, peter pan, RPG, Steampunk, titanic. 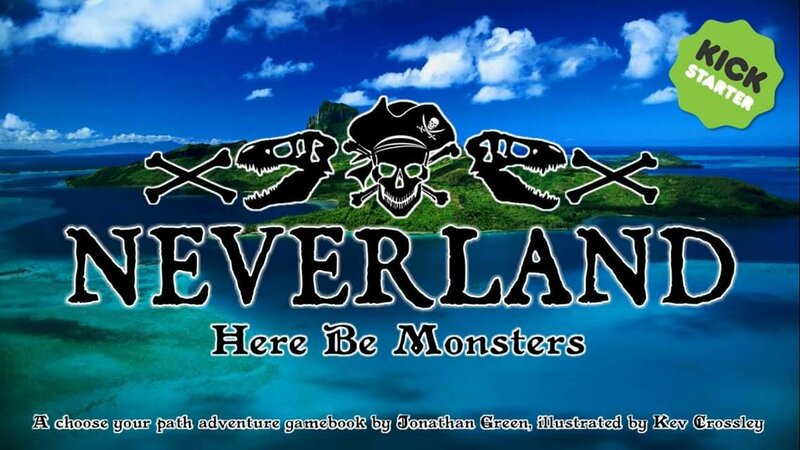 Author Jonathan Green shoots for a hatrick in his third exciting ACE gamebook adventure, Neverland – Here Be Monsters. After the success of funding Alice’s Nightmare In Wonderland and The Wicked Wizard Of Oz, this newly launched Kickstarter project is already 40% funded in just 10 hours. The book, part story part game, will see you play a survivor of the doomed Titanic ocean liner. When you come to, you find yourself washed up on the shores of a strange island packed with rampaging monsters a swashbuckling pirates. But what’s this…? Peter Pan? Once again Jonathan weaves a popular child classic into a steampunk-style yarn, beautifully illustrated once again by the inks of popular artist Kev Crossley. Why not check out this fantastic third book at https://www.kickstarter.com/projects/1412864360/neverland-here-be-monsters and see those amazing rewards on offer, including being an official playtester! Posted in: Uncategorized. Tagged: choose your future, Doctor Who, Game Book, Jonathan Green, Night Of The Kraken, RPG. One of my writing heroes, Mr Jonathan Green, has had a new publication released today. 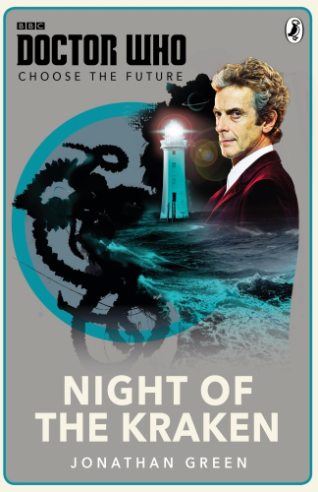 Night Of The Kraken is a playable book where you decide the outcome of situations that arise as the story unfolds. As long serving game book author I’m sure Jonathan will have delivered something very special here so I ordered a copy from Amazon earlier today. (And in the hope he will sign it lol). You can also find out more if you fancy your chances by visiting this link click here!